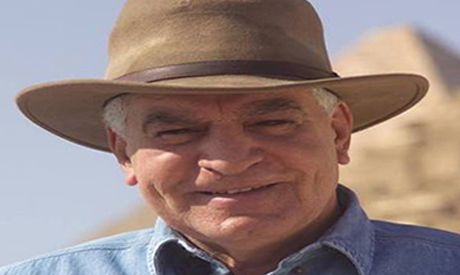 Renowned Egyptologist and former Minister of Antiquities, Zahi Hawass has been selected by the International Federation for Peace and Sustainable Development (IFPSD), an affiliate organisation of the United Nations, as its official "Ambassador for Cultural Heritage." Sally Kader, the President of IFPSD said the federation chose Hawass for his contribution to the field of archaeology, in both excavation and conservation. "His major discoveries in Egypt are known all over the world," Kader said, adding that Hawass was "able through his passion and TV shows to reach the households of people from all over the globe." Kader will announce Hawass' appointment at a special ceremony on 19 April at the UN headquarters in New York City. The event will be attended by most of the Ambassadors of the United Nations, along with world experts and contributors in the fields of culture, museums and archaeology. Hawass told Ahram Online that he was deeply honoured to receive the title, saying he would speak at the event about saving the archaeological and cultural heritage of Syria, Libya, and Iraq. "I would work in cooperation with the Arab League, archaeologists from all over the world, as well as American institutions to save these endangered archaeological monuments," Hawass said. "Our task is to create a database for these monuments, so we can monitor any objects that could be stolen. Also, we aim to train the archaeologists and museum curators of these countries on how to save their monuments in archaeological sites, and efficient methods for protecting treasured collections [respectively]." Hawass referenced Syrian archaeologist Khaled El-Asaad who gave his life to protect Syria's cultural heritage, saying he should be honoured as a symbol for all archaeologists. After the announcement, Hawass said he would meet with Minister of Antiquities Khaled El-Enany and Arab League Secretary-General Ahmed Abul-Gheit to draw comprehensive plans to protect cultural heritage in these conflict zones.